To achieve effective service the nurses, physician and healthcare team should collaborate with each other. No one group can claim more power over others. Each profession has different character so that when combined can be a force for achieving the desired goals. With good communication and respect for other professions in shared decision-making (in collaboration) in the group it will create a good work team so committed to providing a comprehensive service can be created. Opinion between physician and nurses need to be a standard domain with (physician-nurse) standard. There are significant differences in the collaboration between groups of patients with severe, moderate, and independent. Practice negotiating collaboration on many stages in patients partially dependent (being) because of the patient's full dependence (severe) physicians only give direction and decisions without consulting nurse. Of the need for education and socialization practices of collaboration among work teams managed care health or health professions ranging from education situation. For hospitals need to improve the quality of nursing care health. 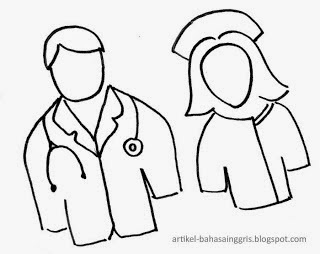 An increase in nurse education and good communication between team and patient to work, and to improve the practice of collaboration needs to be a shared commitment between leaders (structural) and functional (health professions), where the principal can adopt managed care and socializing and can be applied to services.